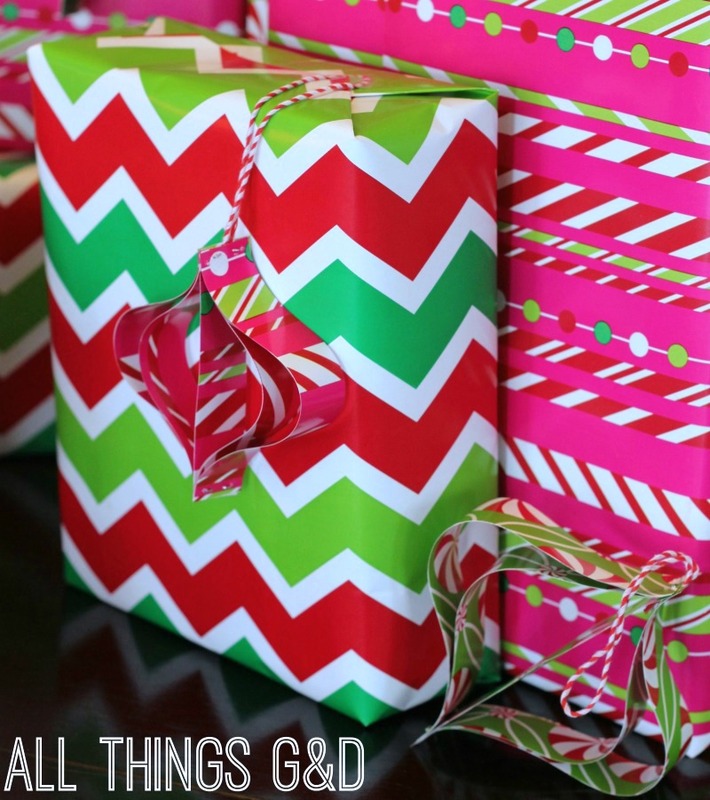 Any other last minute gift wrappers out there? 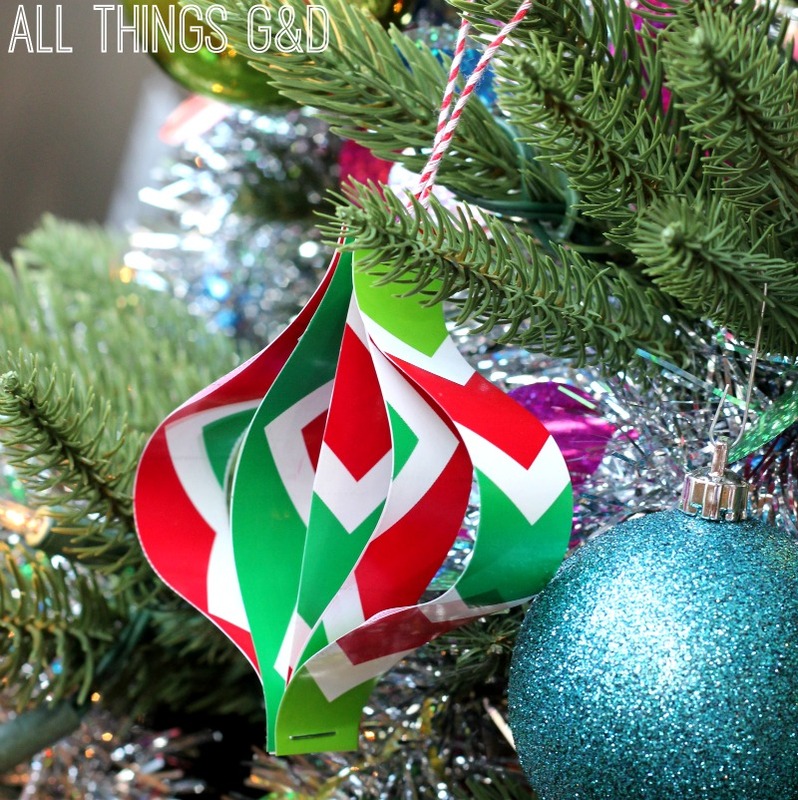 Don’t recycle those little end scraps of wrapping paper just yet – use them to make colorful, DIY ornaments! 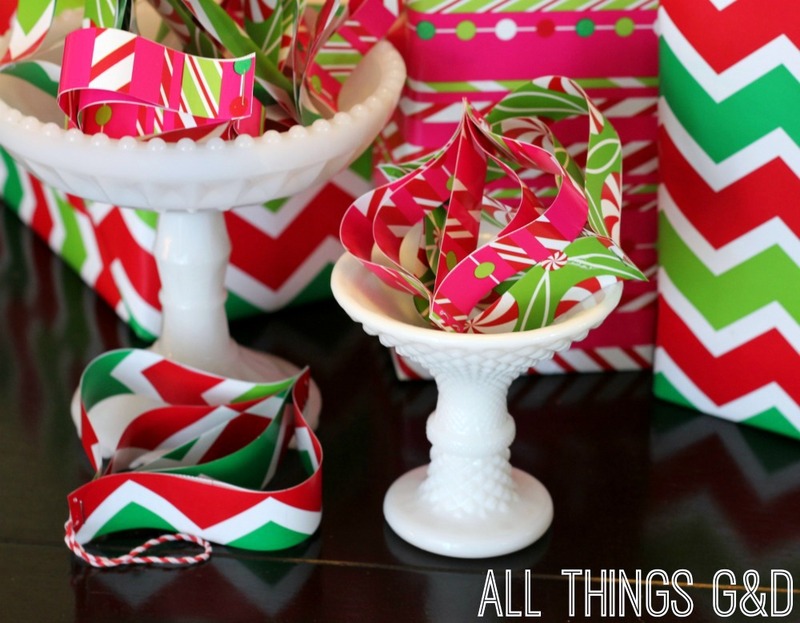 Step by step instructions for how to make ornaments using leftover wrapping paper scraps. 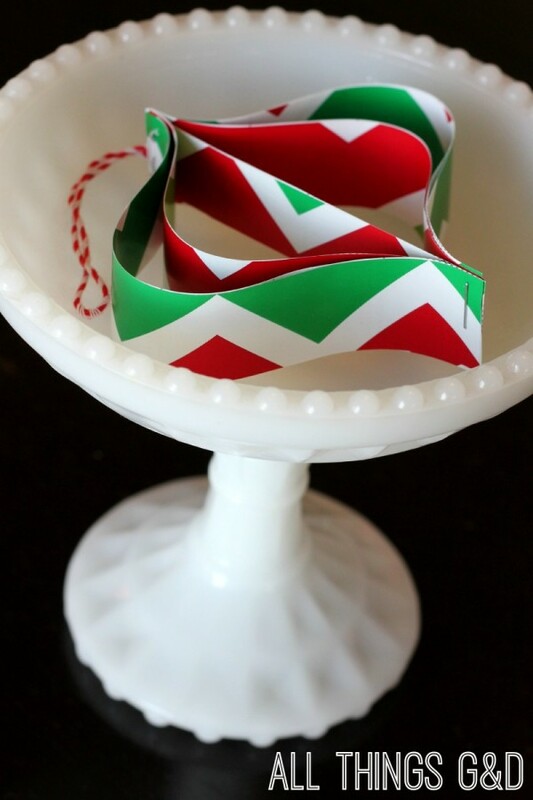 Cut leftover wrapping paper scraps into strips of equal widths. My paper has grid lines printed on the back of it so I cut my paper the width of one square (3/4″). 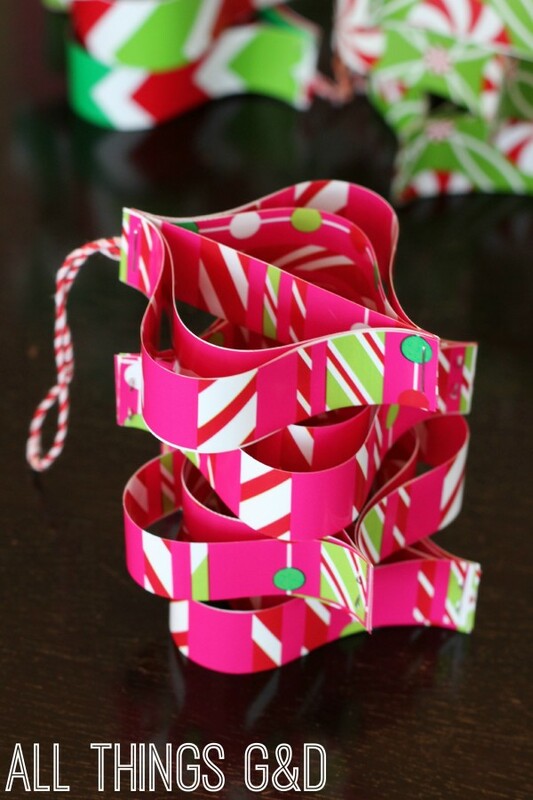 Cut strips into 3 different lengths – you’ll need 4 long strips, 4 medium strips, and 2 short strips per ornament. Using the grid lines I made my longest strips 6 squares long, my medium strips 5 squares long and my short center strip was 4 squares long. 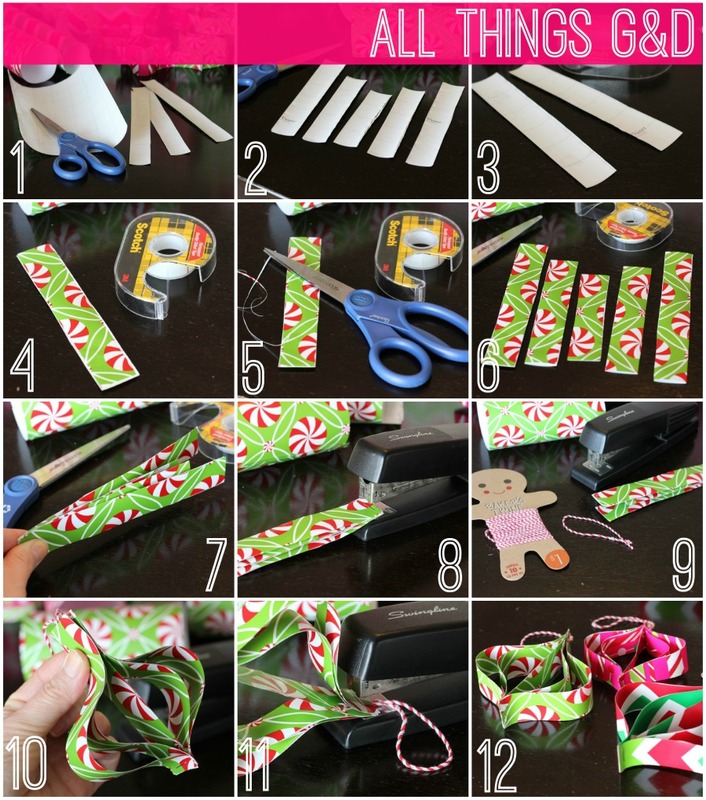 Apply a small piece of double-stick tape at the top and bottom of the back of one long strip. Top it with another long strip, lining it up as best as you can so the edges match. 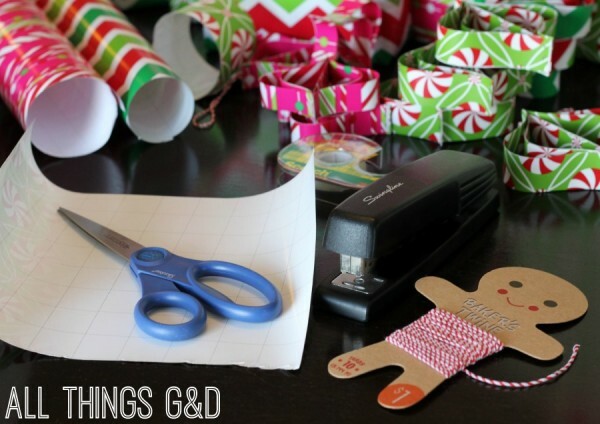 Trim off any excess where the paper doesn’t line up. Repeat for all strips until you have 2 long strips, 2 medium strips and 1 short strip. Stack your strips in this order from top to bottom: long, medium, short, medium, long. Make sure the ends of your strips line up evenly on one end. Cut a piece of string or ribbon. Match up the other ends of your strips so they’re flush, with the ends of your string or ribbon tucked in between a short and medium strip. Staple the other end of your strips together, securing their shape and string. 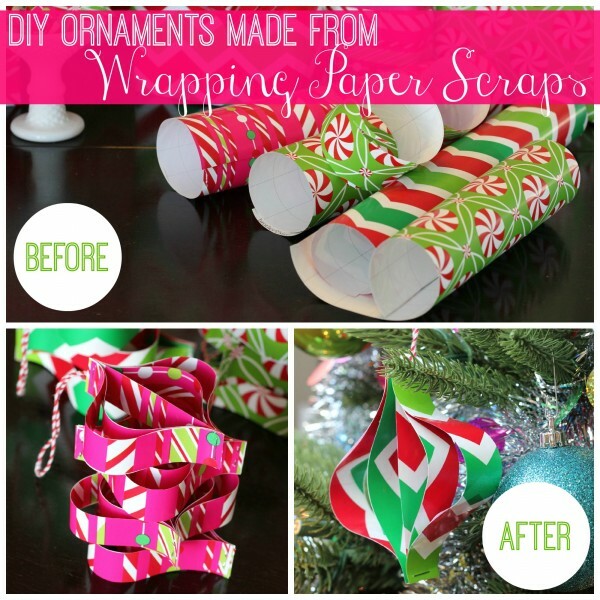 Repeat with the rest of your wrapping paper scraps until finished. These ornaments can be hung on your tree, piled up in a bowl for a decorative centerpiece, strung together for a festive DIY garland, or taped to presents in lieu of a bow. With this many uses don’t you dare let those wrapping paper scraps go to waste! Only 2 more days until Christmas! Are you ready? These are great! I seem to be a bit of a wrapping paper hoarder (all bought at after Christmas sales of course). So I may just have to give these a try! Thank you, Carrie! I hope you do give them a try – they’re so simple! Thank you so much, Alison! Merry Christmas to you and yours – I hope you have a wonderful day today (and all days)!